Student safety is a top priority for Jackson Elementary and McAllen ISD. 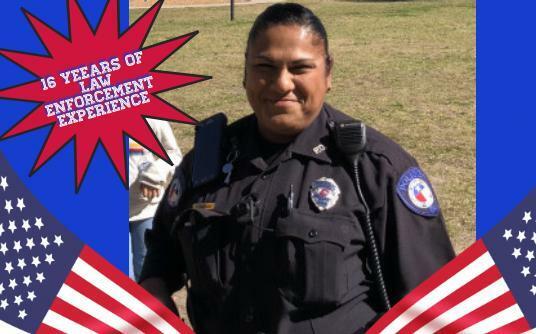 Thanks to our community and Superintendent, the Tax Ratification Election (TRE) was a success and therefore allowed the district to assign a full-time Police Officer at Jackson Elementary. Hello, my name is Concepcion Covarrubias, I am the Police Officer assigned to Jackson Elementary. I am very happy to be a part of the Jackson Family. I have 16 years of law enforcement experience, 14 years with the Hidalgo County Sheriff's Office in Hidalgo County and two years with the Lee County Sheriff's Office in Fort Myers, Florida. I am so happy to be part of the Jackson Family and my main job is to serve and protect the children and staff of Jackson Elementary. Thank you for treating me like family.